Cigarette sees smoother seas ahead for 2010. Based on its loyal customer base, both domestically and internationally, the company has held its course despite the weakened economy and its effect on the marine industry. The company is also preparing for a sizable display at the Miami International Boat Show, February 11-15, 2010, nearly doubling its size from 2008. Cigarette has orders beyond its boat show demands and has added 19 staff members. The 150,000+ factory is working in "high gear" says President and CEO, Skip Braver. Some of the boat construction workers were brought back after last year's lay-offs and some are new hires. Braver also noted that The Miami Boat Show will provide a key opportunity for the company due to the attendance of many international dealers and customers. Cigarette builds customized deep-V recreational powerboats from 38-50' and has led the market in establishing its image as a luxury brand in the marine segment. The company celebrates its 40th anniversary with a salute to its history as well as its future, based on quality, performance and technology. GEICO Race Team and special guest, Jonathan Hillstrand, of the Discovery Channel’s “Deadliest Catch” set off on a mission to set a base speed record from Miami to Palm Beach. As the Cigarette 38 Top Gun Caveman acted as the pace boat from the channel at Grove Harbour Marina in Coconut Grove en route to the Loggerhead Marina in Jupiter, Florida some 78 miles away. It was sunshine and blue skies. The earliesr squalls and rain that blow through Miami had cleared, and while the wind seemed to be picking up, the crew was ready for a safe fun run with team owner John Haggin and Hillstrand riding with driver and throttle man Mar Grenet and Scott Bavovich at the controls of the Miss Geico Race boat. The goal was not to set any speed record, but rather to set a benchmark to break new ones. It was also the opportunity for Hillstrand to experience the ride at 100 plus mph in a state of the art turbine powered catamaran an unusual and exciting experience for a man who generally fishes for Alaskan king crab in the Bering Seal. The Discovery Channel was on hand to catch Hillstrand in his new role. The Cigarette Racing Team’s official online store allows US owners and enthusiasts the ability to purchase Cigarette Racing Team apparel and accessories online. At this time, a subset of our most popular items is available for purchase online. Additional items will be offered on a monthly basis and our full catalog and international orders can be fulfilled. US boatbuilder Donzi Marine claims to have seen an increase in retail powerboat sales in recent months. According to company officials, stronger-than-expected traffic at this year's Ft Lauderdale boat show resulted in a number of retail signings during the October event and in the weeks that followed. Sales have been fairly evenly split between new builds and retail deliveries of dealer field inventory and factory stock. Based in Sarasota, Florida, Donzi builds sportsboats, high performance boats and performance centre consoles from 5m-13m (16ft-43ft). Sales have increased in all categories, says Barrie, although the bulk of retail activity has focused on boats above 11m (35ft) in length. In advance of the 2010 Powerboat P1 World Championship season, Team 26 Racing is returning to Florida to debug some gremlins discovered after its Donzi's impressive but ill-fated U.S. racing debut at Key West in November. Driver and team principal, Daniel Cramphorn and throttleman Kim Collins have planned an extended round of high-speed testing from late December through mid-January at the Sarasota, Florida home of Donzi Marine, where their boat was taken following the 29th Annual Key West World Championship. The British boys started strong in Key West with a first place finish in their first time out, but failed to finish in the subsequent two rounds of racing. Team 26 Racing competed at higher speeds in Key West than during the Powerboat P1 season. The team has high praise for Donzi sales vice president Craig Barrie. Ferretti Group and its nine brands has decided to support the ambitious "Schools for Africa" project by donating to Unicef the amount which is usually reserved for the company's Christmas cards and gifts. This extraordinary fund-raising campaign was launched in 2005 in partnership with the Nelson Mandela Foundation, with the aim of giving African children the chance to receive a basic education and to help relieve their poverty. Since 2005, 683 schools have been built, 83,903 teachers trained and 3.6 million children have benefited from the results of this campaign. Ferretti Group believes wholeheartedly in this project and in the importance of supporting future generations to help them achieve their dreams. The new 'Fairline Collecton' eShop has been launched and features a contemporary new design with easier navigation for a seamless shopping experience. The online shop includes a stunning selection of Fairline branded clothing and accessories, specially selected to appeal to Fairline customers and aspirational Fairline motor yacht owners. The latest 'Fairline Collecton' offers an online boutique of only the finest products, such as the popular Quba jackets which have been custom-made for Fairline and will equally look as good on land as at the helm of a Fairline. Visitors to the eShop will also be able to get their hands on the newly introduced Fairline branded Dubarry cap. The 'Fairline Collection' team took its influence from the fine attention-to-detail of each and every Fairline motor yacht design to offer an ergonomic eShopping experience. It is now even easier to navigate and select a purchase than before, with larger product images and clearer drop-down menus across each of the clothing and fashion, accessories, on-board items, and outdoor activities' categories. The new homepage will be regularly updated with all the latest arrivals and special offers, so visitors can easily view the newest must-have items each time they visit. Products in the 'Fairline Collection' eShop can be ordered and delivered to anywhere in the world. The eShop now also includes a Royal Mail Recorded Mail option to reduce courier charges for smaller orders to UK postal addresses. Formula Boats announces the Grand Opening of the Formula Factory Showroom at its corporate headquarters in Decatur, Indiana. Fomrula also introduced good discounts to make the dream of owning a Formula a reality. The showroom is a nice way to preview each Formula model with a closer look. For a limited time, Formula is offering Factory Care, professional repair and restoration services performed at Formula's worldwide headquarters in Decatur, Indiana, executed by the factory craftsmen who build the powerboats. Formula Factory Care is accepting select jobs requiring the expertise of the original boat builder, using the same quality materials and components and utilizing the same precision methods, exacting standards and fit and finish demanded in original production boats. Formula is pleased to announce it has once again been recognized for excellence in customer satisfaction in NMMA’s 2009 Customer Satisfaction Index program earning two awards - the Sterndrive Cuddy/Express award and the Sterndrive Bowrider award! The Marine Industry CSI Awards program honors participating manufacturers that actively measure customer satisfaction and pursue continuous improvement to better serve the customer. 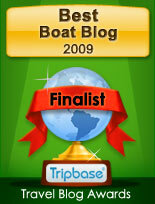 Award recipients have achieved and maintained an independently-measured standard of excellence of 90 percent or higher in customer satisfaction over the past year, based on information provided by customers purchasing a new boat or engine during the period between April 1, 2008, and March 31, 2009. Mustang Marine Queensland kicked off the festive season last weekend at The B.O.A.T Club on South Stradbroke Island with its annual Owners Christmas Event. Over thirty Mustang owners arrived mid morning and indulged in a delicious seafood buffet Lunch. The Moet flowed and entertainment from local act Danny Fai Fai impressed. Owners were spoilt with gifts from the Mustang Merchandise range and the kids were amused with games and competitions. The Mustang range lined the shores at The B.O.A.T Club with the new 480 Sports Euro being a favourite on the water. Chris Heaton, CEO of Mustang Marine, addressed the attendee’s, expressing excitement regarding the launch of the new 2850 Sports Cruiser this month, the new 550 Sports Euro, 500 Sports Coupe and the M56 Sports Flybridge all being released in 2010. The Mustang families in attendance spent the afternoon relaxing, dancing and laughing. The festivities continued into the afternoon and a delightful day was had by all. The Christmas celebrations for Mustang will continue around the Country and internationally over the next couple of weeks. Having seized the opportunity to buy the 23.5m (77ft) and 26.5m (87ft) moulds from Warren Yachts earlier this year, Mustang is now developing its plans to serve this new sector of the international yachting market. The Australian motor yacht manufacturer has gradually been working up the size range and the Sanctuary Cove Boat Show in 2010 will see the start of its graduation into the superyacht level. Mustang acquired the moulds because a key part of its design development is to bring European styling to its models. This has already happened with its new 550 Sports Euro and 550 Sports Coupe. These near 18.3m (60ft) yachts are already selling but will debut at Sanctuary Cove in 2010. The company's plans for larger craft using the Warren moulds will also start to emerge at the show. They will be launched in concept and then developed further. Mustang will only build yachts to these designs to order. Australian Luxury Boat builder, Mustang Marine, has appointed Carl Kellett as the new Dealer Principal at Mustang Marine Queensland located at Runaway Bay on the Gold Coast. Mustang Marine Queensland is moving in an exciting new direction with appointing Carl and an entirely new team at the dealership. Carl’s wife, Debbie Kellett, will be overseeing the administration, and a new sales team will be put in place over the coming weeks. Establishing new facilities within Runaway Bay Marina is also in Progress. Carl possesses 30 years Marine Industry experience and will bring a wealth of Erudition, and familiarity to his new role. Carl’s career began in 1975 as an Automotive Marine Technician and continued to develop over the years reaching new heights in 1997 when Carl moved from New Zealand to Australia after being appointed as Managing Director for Genesis Marine. After his ten year tenure with Genesis Marine Carl moved up field to Maritimo offshore before taking the role of General Manager for Horizon – Boats International. In a recent interview, Carl said his main priorities are to restructure Mustang Marine Queensland and orchestrate the re-birthing in time for the release of the new Mustang Model Range prior to the Sanctuary Cove International Boat Show 2010. Mustang Marine has over the course of the last 22 months been re-establishing its Australian, and New Zealand dealer network which has seen it take on the role as the dealer in Queensland, New South Wales, Victoria, and Auckland. Western Australia is still operated by Freedom Marine. This has been a process that has taken time, but has been educational. This new appointment is the latest for Mustang and comes on the eve of the highly anticipated launch of the new 2850 Sports Cruiser. Nord West are also very proud to announce that there Nord West 370 Sports Top has received a nomination in the important and highly relevant “European Powerboat of the Year 2010” in the powerboat up to 40 feet category. The winning boat will be announced at the Düsseldorf Boat show in January. Like other countries Sweden has been affected by much tougher market conditions around the world as from 2008, but Nord West looks ahead with caution and faith for a better financial 2010. Dagens Industry, a leading financial magazine, has carried out a survey to find inspiring role models and has chosen Nord West as one of the quickest growing companies since the year 2000 awarding it with the The Swedish Gasells 2009. In a move designed to meet customer needs, expand the customer base, open new markets and respond positively to market conditions, Shogren Performance Marine announces the addition of Nor-Tech Hi-Performance Boats. The Waukegan, Illinois-based dealership is also introducing a "fresh look," with a new logo that reflects its broader product offerings. Shogren now offer three brands of vee-bottom boats as well as the full line of Nor-Tech performance catamarans and the Super 80 Performance Sport Yacht. Nor-Tech Hi-Performance Boats, based in North Fort Myers, FL, is well established along the Eastern seaboard, primarily selling factory-direct and through a limited dealer base, including a dealer in Canada. Shogren describes Nor-Tech's boats as big for their size, and roomier and more comfortable than comparably-sized vessels. Shogren Performance Marine is a premier, niche high-performance boat destination that offers Mercury-certified service technicians; a climate-controlled 55,000 square foot, indoor sales environment and a reputation for the highest integrity in offshore boating sales and service. Turkish motoryacht producer Numarine has announced the formation of Boranova, a new company that now owns the exclusive sales rights for Numarine in Turkey. Boranova was founded earlier this year by Numarine employees Sinan Yolageldili, Hakan Oral and Gamze Kemahli. Numarine is one of Turkey's largest producers of performance motoryachts, with the capacity to build around 50 yachts from 55ft-102ft (17m-31m) each year. The company is now preparing to produce its largest ever model — a 40m (150ft) flagship motoryacht with 8.5m (28ft) beam. Alexander Marine, the manufacturer of Ocean Alexander yachts is excited to announce contractual arrangements have been signed with Christensen Yachts for the construction of Ocean Alexander’s new 120’ Motoryacht designed by Evan K. Marshall. The final stages of engineering are nearly completed by Christensen Yachts. Construction will begin in early 2010 with an estimated completion in the later part of 2011. The first in a series of triple deck Motoryachts sized at 120, 130, 150 and built to MCA class. The very unique alliance formed between Ocean Alexander and Christensen matched with designs by Evan K. Marshall has resulted in what will be a truly extraordinary motoryacht with features normally found on far larger vessels. Peri Yachts is expanding its Antalya-based shipyard in Turkey with the addition of another 7,000m2 of building space, bringing the total size of its facility to 12,200m2. The new facilities will be used for the construction of two Peri 37s, which are now underway. The investment follows the recent opening a new office in Antibes, France earlier this year, which is now offering brokerage charter, yacht management and sales service in the Cote d'Azur. Riviera is powering into 2010 with strong sales, realistic inventory levels and is actively engaged in multiple new product development projects for release in the coming year. Riviera CEO John Anderson said the company had over achieved its 2009 projections and now had a clear indication that for Riviera, 2010 will be a stronger year for new boat sales than 2009. As 2009 draws to a close Australia’s largest luxury boat builder, Riviera, is pleased to report that for the period May to December 21, more than AUD$64 million in retail sales have been achieved along with the launching of several new and exciting models. Riviera’s continued investment in new model development and current model innovation has generated significant 2009 sales at the Australian boat shows with the launch of the new 5000 Sport Yacht with Zeus and 5800 Sport Yacht with IPS and the new 51 Enclosed Flybridge with IPS. Riviera CEO John Anderson said the company to date had completed and delivered a significant number of 5000 Sport Yachts, 5800 Sport Yachts and 51 Enclosed Flybridges in this region. Riviera’s successful displays at national and international boat shows such as Sanctuary Cove and Sydney in Australia; Genoa, Italy; Fort Lauderdale, USA; and Xiamen, Hong Kong has paved the way for a prosperous New Year with Riviera’s new model development and enhancement program continuing in 2010. Riviera remains proactive and diligent in their preparation for the return of confidence in the boating market. In February, Riviera will launch into the boat show season with the Melbourne International Boat and Lifestyle Festival in Victoria, Australia, and the Miami International Boat Show in Florida, USA. Icy conditions with 120 foot waves, Andy Hillstrand's crew, in freezing knee deep water, are working against the clock as they smash ice with sledgehammers while the water rises on the bow of the boat. It is these terrifying conditions that make Andy's job one of the most dangerous in the world and why the Discovery Channel's Emmy winning documentary, Deadliest Catch, is a hit. On a recent trip to Australia, Riviera Experience caught up with Andy by phone from his hotel room in Sydney where he speaks candidly about his chosen profession. Andy and his brothers, John and Neal, have had some of the most dangerous adventures fishing for the sought after Opilio Snow Crab, aboard their boat Time Bandit, which they built with their father in 1991. Andy has been crab fishing for 29 years but his best catch was the year he caught 1.7 million pounds of Opilio Snow Crab in two months, earning him US$200,000 and US$74,000 for each of his five crew members. Despite the danger, Andy, 45, doesn't plan to retire any time soon, as he recalls a near miss. Andy and his brothers usually spend about two months at sea during crab season which runs from October to December and between January and March they fish for the Opilio Snow Crab. While it is hard being away from his wife and two daughters, Andy says it is a small price to pay when he returns home for seven months. In his spare time Andy enjoys working with horses, which is how he got his nickname, Cowboy. Andy recently moved to Arizona after spending 39 years in Alaska. He lives on 20 acres and has five horses. Andy has been touring Australia promoting Alaskan seafood and the Deadliest Catch. During his tour, Andy visited Brisbane and Hamilton Island where he spent the day fishing on Riviera owner Peter Teakle's Riviera 56. Speaking from Hamilton Island, Peter Teakle described the postcard perfect day he took Andy out to catch a few Australian fish. Mr Teakle said the Deadliest Catch was a fascinating show and it was great to meet Andy in person. It was a proud and well-deserved moment for Craig Folker who was named national runner up in this year’s Australian Training Awards, which were held in Canberra this month. The 21-year-old completed his electrical apprenticeship at Riviera in June this year and has continued to exceed expectations. The quiet achiever took out the regional finals on the Gold Coast in July before going to contest the state finals held in Brisbane in September. Riviera CEO John Anderson said Craig deserved a pat on the back for his continued success. Craig won $2,500 cash and said it was a very humbling experience. Craig said he enjoyed the tours and activities including a professional development workshop, a tour through Parliament House and the War Memorial. Education Ministers from every state and territory, including Deputy Prime Minister Julia Gillard, attended the awards ceremony held on November 19. Craig’s next challenge is the Construction Skills Queensland awards night held on Friday, November 27 and he hopes to join the Volunteer Marine Rescue organisation. After more than a year of cruising around the world aboard the 70 Sunreef Power JAMBO, Laurent Bourgnon, famous french skipper, and his family have settled down in Raiatea, French Polynesia. Next stop is fixed for New Zealand. The Sunreef 70 Power Jambo passage from Patagonia to French Polynesia had calls in Robinson Crusoe Island, Easter Island, The Gambiers, Tuamotu, Moorea, Thaiti and Raiatea. With the exciting announcement of Project Zeus in 2009, Sunseeker International Shipbuilding Division has taken a significant step across the 150ft (46 metre) threshold. The company, never shy of committing to investment in product development, is set to swiftly follow this with further models. 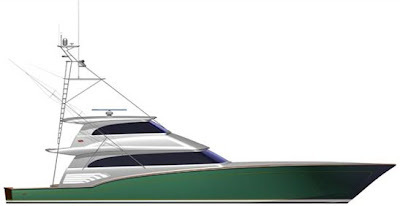 The first 46-metre Zeus 150, launching in 2011, will be followed by the 50-metre Zeus 164 in 2012, with designs for even larger models planned for the future. Key to the new Zeus range is not just size but scope. The yachts, though series-built, will be highly individual, the only fixed aspects being the proven capability of the base hull construction, engineering platform, systems and structural bulkheads. Beyond that, specification is virtually at the owners' discretion from superstructure styling, number of decks and cabin configurations - right down to the personal choice of interiors and colour schemes, making a client's personal taste the priority. With large-yacht owners increasingly looking for reduced fuel and maintenance costs, the Zeus range introduces a new modified form of displacement hull design, optimising displacement speeds around 11-14 knots, yet still delivering optimised top-end 28-knot performance. This has been supported by a major investment in new material technologies and construction techniques. Already tried and tested, the performance characteristics of the Zeus designs will be much better than those of conventional one-off displacement hulls. The Zeus range has been developed to provide clients with a real choice - a choice based on a proven track record with the assurance of reliability and performance at all times. Australian boat builder Mustang comes from a healthy period of novelties fueled by the release of its new Sport range presented a little less then over a year ago with the 430. Today the down under builder offers three interesting new projects, two on the higher end, and one being an entry level to its range. Rendering above show the new 550 Sports Euro what will be so far the new flagship of Mustang's range. As all the Sports range the new 550 is designed with a European style in looks and practicality, with the Euro name here representing the flybridge version. This truly luxurious boat will like boasting modern and high end quality furnishing offering the perfect entertainment with large but warm layouts. Her interior layout will offer a three double cabin two head interior plan, here finding a full beam owners suite mid ship, VIP to fore, and double bunk berth. Power will be from a triple Volvo IPS600 set up. Inspired by in-house designers and accomplished down under naval architects the Mustang 500 Sports Coupe project is created to meet the expectations of today's serious and experienced boat owner. Using high quality materials, the most modern production techniques and strict quality assurances, the Mustang 500 Sports Coupe is a new expression of performance boating from Australia. With expansive and functional single level living, exciting cabin layouts, the 500 Sports Coupe offers an identical three cabin interior to the 550 above minus the second helm station above. 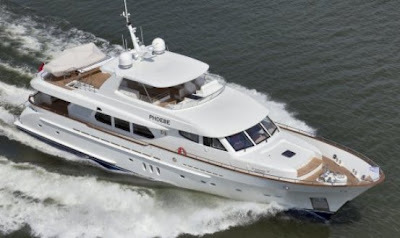 It is basically a more sportier version of the flybridge motor yacht 550 Sport Euro, identical in size and comfort, but missing the flybridge deck here replaced by an opening sunroof. The 500 Sports Coupe is also powered by triple Volvo IPS600 which is coupled to a proven sea keeping hull design. The last rendering above introduces the new 2850 Sports Cruiser project what features modern usability with styling in mind. The 2850 Sports Cruiser will be Mustang introduction entry level model, opening the door to first time boaters into its range. The 2850 Sports Cruiser will have a one level open cockpit and larger than normal internal space with four berths in two areas, separate shower head, and a galley. Mustang says the interior of the 2850 Sports Cruiser will be one of the roomiest in this size sports cruiser. The 2850 Sports Cruiser will be offered with two power options from Mercruiser or Volvo both in petrol versions. So far it seems there is no diesel choice, but also a limited fuel tank of only 300 litres which should make for a short range of only about a hundred miles. Despite the recent global downturn Sea Ray continues the introduction of new models by presenting the 450 Sundancer during the recent Fort Lauderdale show. The World famous US builder has introduced fourteen models in the past two years, keeping its fleet constantly evolving and improving to the times featuring the latest technologies and freshest designs in the industry. Naturally, the new 450 Sundancer advances Sea Ray's forward thinking way with innovative features like its standard Axius propulsion system with joystick control, a fiberglass hardtop with retractable sunroof, a cockpit entertainment center, and a designated media room below. Starting topside, the 450 builds upon the versatility of its Sundancer siblings having a hardtop with bonded windshield, benefiting from comfortable all weather rain or sun boating. Two double wide benches with flip-up bolsters and armrests serve the helm and port console, here the drivers station coming with a full complement of driving and navigation aids to make operation easier than ever, from the SmartCraft VesselView display, to the Axius or Zeus joystick control, to the amazing Skyhook feature. The cockpit abouds with possibilities from the U-shaped lounge with removable table, to the aft backrest of this seat that split pivot open to create an extension of the sun pad, and lastly to the starboard side where is a big L-shaped wet bar with ice maker, and optional grill, refrigerator, and removable flat screen TV to create an outdoor galley. Under the sleek exterior of the 450 lies a classic contemporary interior, with top class cabinetry from Sea Ray's Cape Canaveral Woodworking & Finishing Facility, Ultraleather seating, and brushed chrome accents. Ambient light from the over sized hull windows and skylight gives a natural glow to the interior. The forward stateroom features a full size island V-berth, Posturepedic backrest, Shoji-style sliding door, and separate head shower compartments. The main cabin houses a spacious galley with stainless steel appliances and loads of storage along the port side; to starboard is a dining area with folding table which coverts to a double berth. A Sony stereo located here comes fully outfitted with an iPod docking station, CD player, Sirius satellite receiver, amplifier, and sub woofer. At the heart of its entertainment ready interior, the new 450 features a unique media room abaft the salon that comes with theater seats, accent lights, and an entertainment system boasting a gaming system port, MP3, DVD player, and a 32 inch TV, which can be upgraded to the optional entertainment package that offers Bose 3-2-1 System and 37 inch flatscreen. The theater room located mid ship also converts to a double berth by way of the seats slide out base, and a curtain provides night time privacy. A long list of options allows the owner to rig the new 450 Sundancer with advanced electronics, generators, teak exterior decking, a foredeck sun pad, hydraulic-lift swim platform, rod holders, and several choices of upgraded stereos and TVs throughout. Power from the new 450 Sundancer is a standard of twin Mercruiser Magnum 496 375hp petrol engines propelled by Bravo III sterndrive. Alternatively a more powerful petrol Mercruiser 425hp petrol choice is available, with diesel options from Cummins at 380hp, and 480hp being available these propelled by Zeus pods. Turkish yacht builder Numarine presents the 130 WB so far its largest project and here showing a design rendering. The130 WB will be a forty meter Super Yacht with a beam of over eight meters. Architect Spadolini gave a progressive design approach, taking hints from the latest presented Numarine models with a sleek, and stylish but at the same time aggressive looking profile. The 130 WB this acronym standing for wide body will have a full beam main deck which represents the saloon, and master cabin which will also be serviced by the latest trend of opening balconies. In this case three, two for the saloon, and one for the owners cabin. The aft bathing platform of the 130 WB will also follow latest trends offering a beach deck with ample space for sunbathing, socializing, and showering. The interior will be of a semi custom approach configured to accommodate five or six cabins, this also depending on the place where one locates the galley. The 130 WB will also boast two staircases, one for the guests and another for crew movements. Crew space will be for three doubles, and one captains cabin. Numarine is estimating speeds with the bigger engine choice of a 28 knots maximum for its new planned flagship. Gamefisherman is another of the custom and semi production builders, but this one originating from the Florida area, and also concentrating most of its range to smaller under fifty feet models. Many of today's custom builders are going above the fifty foot mark, and when they build small it is normally a centre console design with outboards then a cabin convertible type. Here we present the 46 Flybridge the latest creation of its experienced president Michael T. Matlack, who before founding Gamefisherman in 1985 has been at the head of such great names as Bertram, and Rybovich. This new 46 Flybridge might be a replacement to the 45 and is a pure sportfish machine with a spartan interior offering three or four berths on bunks with a fore head, a convertible settee, and a galley. Power to this very traditional looking Sportfish Cruiser is by twin Cummins 715hp. Founded in 1979 but with a real story that started in the thirties, Parisi has in recent years joined the Inrizzardi Group. The 850 which will available in two distinctive Open and Cabin style is the first Traditional Gozzo Cruiser project to come since Parisi joined the Italian Group of boat builders, which today counts seven important brands to its name, all located on the West sea part of Italy. Pictured above is the 850 Open project, which distinct itself from the Cabin version presented below with its lower profiled upper cabin structure. Other differences are the galley up on the main deck, and less spacious interior, this having three berths coming from a convertible V-shaped dinette to fore, and a single adult or two children mid ship berth. Below is also a separate shower head. Power options are from a single 230hp or twin 160hp diesel engines propelled with traditional in line shafts. While having an identical hull as the 850 Open, the Cabin version represents a real impressive interior offering superb accommodation for a Traditional Gozzo Cruiser of this size. In fact the 850 Cabin will offer an interior boasting four berths in a forward vee shaped double, and in a second mid ship located double bed. Apart this the 850 Cabin also offers a galley below, and a dining table for four which can convert to an additional berth. The 850 Cabin is also available with a stainless steel radar arch as pictured above, or an all weather hard top. Both Parisi 850 Open and Cabin will be built with a fibreglass hull, but will also have traditional amenities like full teak deck outside, and a wooden toe rail. The power options are also the same as the Open, with a single 230hp or twin 160hp engines which the builder estimates max speed of 30 plus knots, and a cruise of 22 to 24 knots on both versions. Christmas has come early this year for two loyal Riviera owners, taking possession of their brand new 70 Enclosed Flybridges, both customised to the hilt and representing more important sales for Riviera current flagship. The first, will be among Australia’s best equipped luxury game Sportfish Yachts, and is named “Born to Battle” now belonging to an elated Peter Teakle, who set out to create the ideal home for cruising and competing. In his 50,000 nautical miles over twenty years and six Riviera’s, Peter has learned which details make a great game fishing boat, combined with those features that top it off as a thoroughly exquisite cruising boat. The retired Peter Teakle plans to cruise The Whitsundays, exploring the 74 islands in the group and seriously competing in the annual Lizard Island Game Fishing Tournament in which he was instrumental in changing the format to a tag-and-release competition. So enthused is Peter Teakle with his latest addition to his fleet, his new 70 Enclosed Flybridge is painted in Peter’s trademark colour scheme of black hull with black and gold detailing to the superstructure, that he has barely had the keys two days before taking off to his home port of Hamilton Island where the locals are holding their breath in anticipation of her arrival. They will not be disappointed. ‘Born to Battle’ is decked out with over one million dollars in extras, from the upgraded MTU engines boasting nearly 4,000hp, and an ice chipper that blasts out 12kg of ice per hour, to five hundred thousands in Furuno electronics, controlled by a mouse in the Skipper’s helm chair. There are even water sensing devices that operate the windscreen wipers, inspired by the same technology in Peter’s BMW. The engine room is something to behold, equipping Peter’s fourth boat with MTUs, effectively a Mercedes Benz in this case two 1920hp engines. The massive exhausts are sourced from Italy. All up, the engineering of ‘Born to Battle’ is the most advanced in Australia and is truly world standard. Also installed, for comfortable cruising and extra stability during offshore tournaments is a gyro stabiliser system, which virtually eliminates low speed boat roll, at anchor and underway. Peter and Nina have also designed the internal layout to suit the dual purpose of ‘Born to Battle’. 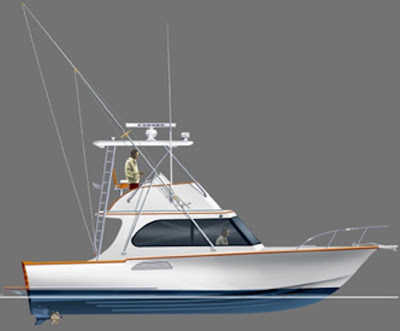 The floor plan features the galley aft, flowing out to mezzanine seating and cockpit, plus a detachable boarding platform that can be removed for serious, competitive game fishing. The lounge area is forward of the galley and consists of two generous size tables on either side of the boat, both featuring wrap-around seating crafted in the softest beige leather. There’s also a matching leather bench seat capable of seating up to five adults adjacent to the impeccably equipped galley, but to call it a ‘breakfast bar’ is like calling Born to Battle a barge. Sleeping eight in four cabins, the boat was specifically designed for two couples and three full-time crew. There is a palatial full beam master suite, a guest double stateroom with en suite and the third cabin has been converted into a “bells and whistles” office housing Peter’s gadgets, computers and storage for every manual this technically advanced boat boasts. At the bow are two spacious crew cabins and a fourth bathroom. No detail has been overlooked, from the teak woodwork throughout, Amtico floors, and a neutral palette that owes a lot to Nina’s Swedish origins. Prior to its presentation, ‘Born to Battle’ was put through its paces by Steve McPherson from R Marine, who went as far as spending several nights onboard out on the Gold Coast Broad water to put ‘Born to Battle’ and all of her machinery and equipment through a series of thorough tests. Another Riviera 70 that is enjoying its finishing touches in preparation for delivery is bound for New Zealand and due to be handed over by Bruce McGill and his team from R Marine in Auckland before Christmas. The owner, his crew and Bruce McGill intend to cruise the boat to her home port in Auckland earlier in the New Year. Their delivery trip will take them, 438nm from the Gold Coast to the pristine, rugged and supremely beautiful island of Lord Howe Island for some serious exploring. At Lord Howe they will then take on fuel for the 800nm passage to New Zealand. The Riviera 70 boasts a cruise speed of 30 knots and top speed of 35 knots and a range of 1,000 nm. So far, Riviera has built and launched five of its 2008 presented flagship 70s, more like custom builds than production boats and nearly qualifying to a Super Sportfish status. Kha Shing Enterprise Company Limited the renowned Taiwanese Yacht builder has been working with US based Setzer Design Group on a nineteen and 34 metre designs for the new Monte Fino S range with a new logo attached. After presenting the larger 34 metre Super Yacht a few days ago, today we present you the smaller nineteen metre of the Monte Fino S, what is a new range of Kha Shing existing Monte line targeting clients who are looking for luxurious Sport Yacht. The all new MFS 62 is a Sport Yacht, to my knowledge the first of this type from the Taiwanese builder, and will provide thirty plus knots speeds by using pod propulsion. The new MFS 62 will have a beam of over five metres and a relatively shallow draft for its length of just over one metre. The sport yacht will hold 3596 litres of fuel offering a variety of cruising speeds with ranges based on the final power plant selection and speeds used. The yacht includes three staterooms below, one of which is a full beam master suite. The galley is half a level below the main deck and includes the salon and pilot area under a retracting sunroof. The aft deck includes a sunning pad and dining areas and access to the engine room or an optional crew lounge and cabin below. The swim step is accessible from either side, and lifts to reveal a tender garage positioned above the engine space. Kha Shing also says for a flybridge version to be offered later on, although we still don't know if this is a completely new motor yacht with different super structure or just the latest trend of offering a Sport Bridge with a helm station and a sunbathing space above the hardtop of the MFS62. Taiwan Yacht builder Dyna Craft present a new 65 model. Sitting at the middle large side of its seven model range the 65 is set to challenge the mostly European based competition for this size offering a motor yacht with Mediterranean looks, coupled with the latest trends of big view windows in the main midship owner and VIP cabins to fore. Offering sporty stylish lines outside, the 65 boasts a standard interior of four cabins, with double crew cabin aft. The Dyna 65 is also offered in two further layouts the firsts named Option 1 replaces the fourth cabin with a walk in wardrobe for the owners cabin, and the second crew berth is replaced with a jet ski garage. The third layout named Option 2, is also a three cabin with owner walk in wardrobe in replace of the fourth cabin, crew second berth now having an utility room, and the raised saloon settee replaced by a dining table with movable chairs for six. The flybridge of the new 65 offers a big C-shaped settee looking aft, wet bar to port, central helm station, and sunbathing area to fore. The welcoming interior main deck is a split level offering a C-shaped sofa to port upon entrance, galley to port in the raised area, opposite second settee, and helm station to starboard. Tender stowage is on the bathing platform aft which follows latest trends of having an up and down movement for easy tender launching and retrieval. 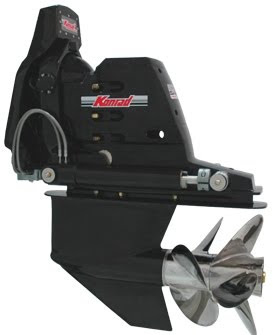 Power choice is from nine options from all major marine manufactures Yanmar, Volvo, MTU, and MAN propelled with traditional in line shaft method. Hull number one which was fitted with the larger MAN 1224hp options reached top speeds of 30 knots with fuel and water at half loads. British boat builder Princess seems not happy enough to present two new models at the London Show in January 2010, launching there the new 72 Motor Yacht, and V56 and heads a week later to Global sized German Dusseldorf show revealing the new V85-S. The new Princess V85-S takes the Princess V-class sports yacht range to the next level of quality and performance, with its redesigned main deck layout, an enhanced materials specification, and a new more powerful engine option which guarantees a thoroughbred sporting performance. The V85-S is a triumph of modern design, advanced engineering and traditional craftsmanship. Excitement and relaxation are available in equal measure, encapsulated in a sleeker exterior style that blends with her sport profile. Special weight reducing techniques are employed in a state of the art construction method to ensure maximum performance and efficiency gains from the latest engine technology. An all new and distinctive lower profile discreetly incorporates an upper sundeck, which is fitted with a luxurious sunbathing and relaxation area as standard, or an upper helm station as option. Throughout the interior Princess has ensured exceptional levels of style and comfort, such as the completely restyled and enlarged side windows on the magnificent main deck; the open plan layout, giving a massive entertaining space; and the spacious accommodation below deck specified with the highest quality materials. Apart all these improvements the one most important addition remains hidden from view, in the engine room, with the new 2,600hp MTU V16s top of the list. These powerful high speed diesels give a phenomenally impressive power-to-weight ratio and an amazing speed range pushing 40 knots, making the V85-S one of the most powerful in line shaft propelled Super Sport Yacht in this size. Renowned Italian Super Yacht builder Sanlorenzo presents the new SL104, receiving exterior design treatment from architects Franceso Paszkowski outside, and Rodolfo Dordoni inside. What long standing Sanlorezo collaborator Paszkowski for the SL104 presents a total redifinition to looks and echoes of this highly regard builder, with echoes of the 40 Alloy in the radar arch, new stern, and now having also hiding anchors. The main deck looks also less aggressive offering better comfort thanks to more height, with the raised forward pilot house also receiving a further movement to fore in order to offer a bigger flybridge deck. Although unless you see a Sanlorenzo 100, the model the new SL104 replaces next to each other this is very difficult to tell. A big change is also to the bathing platform with the SL104 having the longest platform ever seen on a Sanlorenzo with a bit of a new design here to the usual looks which have stayed with the Viareggio builder since the mid nineties. Further changes are also in the aft part of the flybridge use, now reserved as a sun worshippers paradise instead the usually tender stowage area. Milan interior designer Roldolfo Dordoni presented also an interior which looks more to luxury then to a lot of cabins with a three or four guest cabins plan. This last is quite standard in this size, with the three cabin plan being very unusual for a hundred footer. Crew space is for three or five in a two or three cabin plan. The SL104 has a fifteen degrees medium vee shaped hull, rather angled for this size with much of the competition usually offering flatter sections aft. Power is by twin MTU 2435hp which gives the SL104 a 28 knots wide open throttle performance, with a 26 knots all time cruise. 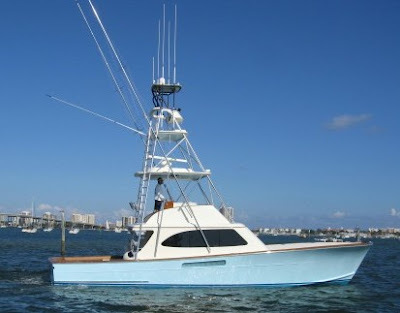 The Sea Force IX 91.5 Series is a versatile and capable member of the US Florida custom Sportfish builder fleet. The hull form of the 91.5 series mirrors that of her capable siblings, with its great wave piercing entry and inherent stability. The advanced maneuverability of this series allows the 91.5 to be used as a day yacht, while also allowing for unique long range cruising capabilities challenging your itinerary to go global. It’s not to say she is not a tournament contender. She is plenty capable of backing down on that record catch. With the 91.5 series platform, you can be underway enjoying the ride with your guests, as your tender is bringing the catch of the day back to the mother ship. Sea Force IX designed the 91.5 for having unique options. The 91.5 series also offers a nimble and maneuverable performance, extended cruising range at lower speeds, a great, unprecedented fuel consumption, and as all Sea Force IX is fully customizable. Her standard interior is a four cabin plan all with personal heads, and full beam owners suite. Power estimates are for a 35 knots top speed, and 32 knots cruise with twin MTU 2250hp engines. Her range is non the less incredible giving a 3000 nautical miles long distance ocean crossing capability at 10 knots. A unique feature for this type and kind of Super Sportfish. The first 91.5 Series which will be construction number five for the Florida based builder should be completed at the beginning of the coming year. Commissioned by Atlantic Yachts, to a design by Vripack Naval Architects of Sneek the dutch builder and design firm developed an entirely new project model, the 56 Twin Deck. In a market where there is much competition, but also much of the same type of yachts, Atlantic with the help of Vripack sets to brings a revolutionary motor yacht. For example Atlantic has asked to the design firm to do everything finished as flush with the surface as much as possible but also other items set to leave an uncluttered deck as the anchor assembly concealed below deck, fenders storage, concealed hydraulic passarelle gangway, and aft garage for a three metre plus tender. The 56 Twin Deck accommodation layout below deck offers a two or three double cabin choices, and still featuring the much desired mid ship owner's suite with its own separate shower and toilet. Next door to the owners cabin is also an utility room with washing machine and a separate dryer. To fore there is the VIP cabin with a luxurious double bed. On the starboard side fore there is a room that can be specified as a third cabin with double bunk berths or alternatively as a study office. A second head features to fore port side, this also having a washing machine. In the centre of the lower accommodation deck there is the C-shaped sofa to starboard with a fully equipped galley opposite. Above on the main deck is the living area with a central fully equipped pilot station to fully control the 56 Twin Deck, and to port side there is a round settee with two luxurious club chairs. The wheelhouse here is also fitted with a panoramic, electrically operated sliding roof, completely flush concealed. The Atlantic 56 Twin Deck also has a spacious aft deck with an aft bench where the lounge table can be stored, which also features easy connection to the side decks leading to fore, here having a big sun-deck with underneath storage space. The 56 Twin Deck will be powered with IPS600 D6 435hp engines. Big expectation awaits the Colombo 37 Alldays, which is the first complete new model to come out from owners Sarnico Group after taking over the legendary Italian Lake Como boat builder in 2007. Sarnico Group gave the duties of the new Colombo to design firms they have been working with for a long time which are Nuvolari Lenard for the upper structure who are collaborators since the 1995 introduced Sarnico 45, and Brunello Acampora from Victory for the hull. The 37 Alldays also represents a new direction for the Colombo shipyard but also for boats in this highly competitive size. The shape in itself is may be actually a bit tad reminiscent of the Sarnico designs with the wood giving compliments to the Giacomo Colombo legacy. Wood is actually a predominant feature of the looks outside not only for the teak which is featured in all the deck from fore to aft, but also in the stern transom, toe rail, and the distinctive hand rail. The new Colombo also surprises in its comfort being in this area also a top category boat, thanks to its wide beam, but also to the intelligent use of space. If someone knows Colombo the previous models where actually never renowned for there spaces, but more a testament to rich materials and super high class finishing details. Accommodation wise the new Colombo offers a two cabin interior below decks with owners cabin to fore, and a three berth guest cabin to mid ship this also enjoying spectacular views thanks to large triangle shape view windows. A separate bathroom with shower, head serves both cabins. The living area of the 37 Alldays is all on the main deck, with a spacious aft deck cockpit served by a settee, and a galley and C-shaped saloon inside. This part protected to inconvenient weather by a hardtop which features a glassed opening sunroof, and a fully retractable patio door. Furniture wood for hull number one is white oak wood. Power for the 37 Alldays is by twin Volvo 300hp diesel engines, propelled with the easy to use IPS pod drives. Speeds are a wide open throttle of 33 knots, and a cruise of 28 knots at half load. Bertram has sent a new letter to its friends saying the following that the caption accompanying underwater photographs posted on one website (Yachtforum) claims that the images were taken from a video of the boat shot on November 11, just a few days after the sinking. These photos depicting dramatic damage to the sunken boat have been used to cast doubt on the possibility the sinking was caused by a collision and to support a number of negative theories about the quality of Bertram. The fact is the sunken boat was not even located until two weeks later on November 24 by a crew contracted by the owners. It was found 1.5 miles from the point of its sinking. Between the date of the incident and when the images were captured after November 24 there was a significant tropical storm in the area with very strong winds and violent currents with the strength to toss such a wreck about and move it some distance from where it sank. Bertram also added damage to the yacht depicted in the underwater photographs taken after 24th November is totally inconsistent with the detailed description of the sinking boat provided by the captain during an interview after the incident of 6th November. The plaintiff also stated its first public statements on 14th January confirming that the Sportfish Yacht was pre-purchase surveyed, that they where the first retail owners, that MarineMax arranged for the yacht delivery from New York to West Palm Beach, that the Captain denies hitting an object, that before the sinking speed was at 25 knots with three to four foot following seas, that upon entering a wave the bow of the vessel folded back in catastrophic failure making an abrupt halt, that the boat sank in twelve minutes with the crew making four mayday calls before they abandoned ship, and that unlike the video or photos the Captain reports the transom was intact before the sinking. The plaintiff marine surveyors and naval architects indicate that the post casualty photographs show manufacturing defects which caused or contributed to the loss of the vessel. The plaintiffs also offered to avoid litigation and offered Bertram to give a comparable replacement vessel. Bertram did not give any replacement and offered to sell a demonstrator 630 with 800 engine hours for 1.8 million US$. On Yachtforums they posted exclusive images of the wreckage taken from the owners legal defence video. It is very interesting, and seeing this the 630 looks to have considerable damage. Still this video was taken with the Sportfish Yacht about a month in the water, and apart the damage which is considerable, my point of view is that with this alone is very difficult to say if the boat was hit or had a hull failure. Bertram President Michael M. Myers also posted some new pictures of the buoy, more recent to the accident date, and stated QUOTE Examination of the buoy showed matching paint, some damage from impact, and an apparent propeller cut END QUOTE. 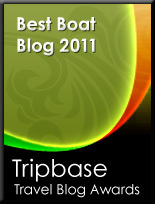 To be correct we posted the new picture from the boat builder. The Bertram President also said the following about some court rumours QUOTE We also would like to point out that the on-line suggestion that the owner’s attorney had to get a court order to keep us from salvaging the boat is entirely false END QUOTE. Another rumour circulating is about the buoy and here we have the technical data of same as posted on The Hull Truth forums: FIGURE 1, SCDNR, 200# with REFLECTOR height: 161.0” diameter: 24.0” visibility: 125.0” weight: 200 lbs. Features:• Durable ABS plastic outer shell• Closed cell Polyurethane Foam filled• Internal and external radar reflector• color: yellow. This above is the Bill Perry Reef buoy in South Carolina, and subject to verification might have put down a 2006 built Bertram 630 the past November 6. The crew of two managed to survive without any harm, but the persistent rumour on the US boating forums discussing this, is that this 630 which was a stock demo from MarineMax who just found its first owner had structural damage in the bow sections which sank the twenty metre Sportfish Yacht in just ten minutes, stopping its delivery trip to Florida for shipping. Still Bertram President Michael W. Myers also declared that this buoy seems to have been hit by something, and the starboard side propellers and rudders on the wreckage which lies eighty feet at sea bottom show a damage. 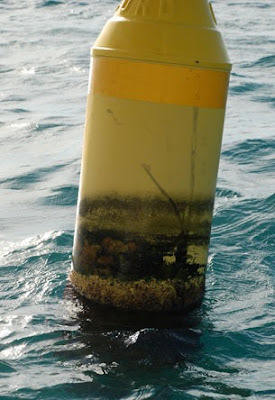 The above photo was taken some time after the sinking by the owners investigation team, and if this is the buoy being hit that something looks to be something very small and not a forty ton twenty metre Sportfish Yacht. 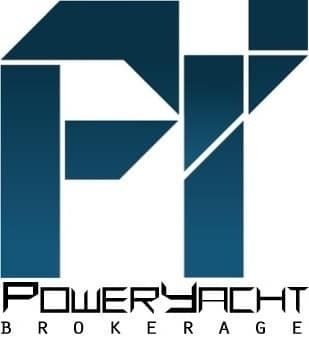 At this point in time PowerYacht can't say any further but lets stay tuned on more developments, and honestly for such a great legendary brand name as Bertram which built its fortunes on sea capabilities and strong construction, I hope this is not a repeat with worse tragic consequences then the 2008 delaminated model. 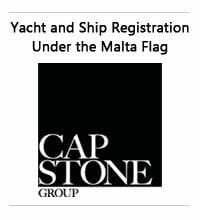 If this was the case more bad news would be that the US builder Italian managed company also promised a big recheck to all its boats when that delamination happened to that 2008 model. Something which apparently had not been done on all Bertram's. Announcing it last September and giving a sneak preview of the project during the latest Fort Lauderdale show, Tiara finally present the renderings and give some details for the new 4300 Open. As is expected the new flagship of the Open series obviously reflects its predecessors, like the 4200 the model it replaces, and the 3900 Open which was launched just a year ago. The 4300 Open also represents future generations of the line, having an outstanding standard and optional equipment features list, and is equipped to make both fishing and cruising use. Just as any Tiara the 4300 Open is also a serious deep water performer, giving a stable, secure platform to aggressively manage rough sea conditions, with a hull design and matching power package providing optimum performance and handling. Below deck, the interior offers a large, spacious, comfortable living area, with U-shaped dinette, lounge, full galley, two private staterooms, and head with separate shower. Similar to the 3900 Open, the 4300 also features a large foredeck with skylight hatch system that runs nearly full length below deck, flooding the interior with outside light. The 4300 Open also offers a unique optional list which can make each choice representative of the owners usage with a tournament or cruising hardtop style, hull side port lights, Tiara Tournament Series equipment, and a thirty or 42 inch bathing platform aft. Power is by twin Cummins QSM11 720hp engines propelled with traditional line shaft method. Designed by Italian Garroni above with under water hull shape by Michael Peters, the new Prestige 39 Flybridge holds her own while featuring the element, innovation, onboard comfort, and the seaworthiness that have forged the success of this French brand. Aboard the Prestige 39 Flybridge, innovation can be found in the design concept, called by the French builder as Opening on the Sea comfort. This new medium sized motor cruiser offers an all new flybridge design, and a clever layout of the two cabins, both served with personal shower head compartments. The open to the sea comfort from Prestige is confirmed in many areas like the flybridge area up top, wrap around windscreen reminiscent of the new 60 flagship in the living internal saloon, and the big view windows featured in the fore owners suite. Prestige since a year now a separate and unique brand, gives again the hull design of the new 39 Flybridge to renowned Michael Peters. The US designer is credited as being one of the best Vee hull shape designers of recent times, and is responsible for six out of nine models showing how much sea keeping is of a big importance to Prestige. Part of the Beneteau Group, Prestige thinks of the new 39 Flybridge as becoming a leader in her size category of a flybridge Motor Cruiser under forty feet. Surely it will be a big contender for top spot, although competition from other brands who are looking back to the smaller sizes seems to make things more interesting to the buyer. Konrad Marine of Hudson, WI USA is proud to introduce the latest addition to its robust 500 Series, the Konrad 560 Twin Prop. This stern drive package was designed to handle gasoline or diesel engine torque and was engineered to gain efficiency by sharing the torque load with dual propeller technology. Counter rotating propellers reduce propeller roll, greatly increasing low speed maneuverability for superb docking and substantially improving handling in reverse. The 560 reduces propeller slip, increasing fuel economy and top speed. With its state of the art engineering and highest quality components, the 560 is capable of exceeding commercial market demands. The Konrad 560 Twin Prop drive features two, one piece stainless steel propeller shafts, fitted with line protection seals. The specially designed stainless steel propellers vary in pitch up to a 16“ maximum diameter. The major components are manufactured in-house at Konrad, including the gear sets of high grade aircraft quality steel, heavy duty drive shafts and high quality, heat treated aluminum castings. To ensure customer satisfaction, Konrad tests all their stern drives for heat, noise and vibration prior to leaving their plant. Konrad’s 560 Twin Prop counter rotating drive is based on the military proven 520 with a heavy duty transom assembly. The 560 twin prop offers boat enthusiasts a complete propulsion system for the rigors of recreational and commercial duty on single engine vessels weighing up to 11,000 lbs. The 560 and all other Konrad stern drives are made in the U.S.A. When Galeon launched the 640 Fly in the middle of last year the 2008, the company extended it size by eleven feet coming from the previous bigger 530 Fly model. The 640 Fly continued the Polish builder voyage to bigger sizes and with this following the relationship with renowned British architect Tony Castro, who did a complete job for the current second in size Galeon model, designing hull, exterior lines, and interior layout plans. Castro has so far designed five models of the current Galeon model line up, with four of these always being a new flagship. For the 640 the British designer and Galeon created a very interesting good looking nineteen metre motor yacht set to challenge the best in the market for a couple of unique reasons. First is surely the four cabins plus crew accommodation plan, a rarity in this size especially since most builders started concentrating there spaces resource for the mid ship located full beam owners suite, a luxury the 640 Fly made sure not to miss. Other reasons are also the thirty knots plus speeds with the small engine choice which goes whisker short of forty knots from the bigger option, the luxurious details giving exquisite comforts in all area, and last is surely the sea keeping capability of the Tony Castro vee shape hull. The 640 Fly welcomes you in the spaciousness of its exterior spaces with a large bathing platform aft which stows a tender on top and which is lowered by a hydraulic crane hidden in the aft stern bulkhead, or by the optional Opacmare Transformer which apart from making launching retrieving toys as easy as it gets also creates and makes the area become a semi submerged beach in or just above the water. The yachts aft deck features a C-shaped settee located centrally, where from it is possible to connect to the fore part with two steps leading to the side decks where is located a two person sunbathing area, and to the flybridge via the integrated stair case located to port. The flybridge offers a wet bar small galley featuring a BBQ grill with sink, C-shaped settee to starboard, a big solarium to fore for three or four adults, and the helm station to starboard. For those who think they can never get enough of the flybridge it is also possible to equip the area with a retractable hard top. Passing through the patio door you are welcomed in the rich atmosphere of luxury wood finishing complimented by lights and unique stars head liners of the interior. Here the split level saloon presents a C-shaped settee to port, and opposite settee for three to starboard in the lower area. Two steps up lead you to the raised part which has the fully equipped galley to port also in a C-shape, opposite dining C-shaped settee, and a single or double seated helm station. From the starboard by the pilot station it is possible to go from a side door directly on to the deck. From a centre corridor and down a set of five steps leads you to the accommodation deck below featuring four cabins, and three guest heads two of which en-suite for the owner and VIP rooms. The first cabin to welcome you below is the guest fourth cabin with two L-shaped berths and also being the smallest bedroom on board, to fore is the VIP suite, and to starboard we have the third guest cabin with two in line berths. In between this cabin, and the VIP suite is the third shower head which services the two single cabins. The owner suite located centrally and to mid ship is reachable going down three further steps and here we find a central located queen size double berth along the hull port side, a shower head to aft, wardrobe, and a desk breakfast table for two with a part of this transforming to a relaxing chaise lounge. To aft is the crew cabin equipped as standard with a single berth, separate shower head and an utility area. Tony Castro who before this has designed the 440, 530 models for the Polish builder is renowned for fast sea worthy hulls having a deep to moderate vee hull with close to twenty degrees deadrise aft. Castro has designed the 640 Fly hull with a deeper vee to fore, and moderate to seventeen degrees deadrise aft. Castro made no use of semi propeller tunnels this being to obtain low planning speeds in mid ten knots, which can be of good use to keep a comfortable ride in big head seas. Galeon offers three engine choices for the 640 Fly all being by MAN and start with a standard twin V10 1100hp, optional V12 1224hp, and going up to the more powerful V12 1360hp. The 640 Fly has top speeds of 32 knots with the smaller 1100hp choice, 34 knots with the 1224hp, and 37 knots with the 1360hp. Range is an approximate of 300 nm at 28 knots with the standard 1100hp choice, and 290 nm at 30 knots with the 1224hp. Full data with the larger 1360hp choice is not so far available. In this ten boat range competition and size the Galeon 640 Fly is unique to have its fourth cabin with L-shaped format, therefore being the roomier of the bunch. The Astonoda 66 GLX was among the first to offer four cabins with full beam owners cabin in this size, while the Aicon 64 and smaller Princess 62 both in production for over three years are the most successful. The semi custom Carnevali 65 has no full beam owners cabin, and the fourth cabin has a separate entrance. Criteria for competition was flybridge motor yacht, length overall from nineteen to twenty metres, and four cabins. Improving, each step at a time, with always better quality. This is in synthesis what Polish Galeon has done in the last decade with each new bigger model representing a leap forward in the standard. When I first saw a Galeon about eight years ago, the boat which was an eight metre flybridge motor cruiser had many interesting features but was also in need of improvement in other areas. Today the Polish company has done among the most amazing quality overhauls to its brand name in recent years, and can challenge the best of European boat builders, with a product which looks, and most of all feels good. The 640 Fly presented last year has been another big leap forward for Galeon, which thanks to its five years plus collaboration with British Tony Castro gets close to full marks in all departments. Apart all this which for the current buyer is interesting but not a deal breaker, the designer and builder made sure to make the 640 Fly stand out from the competition with a spacious interior which offers the largest fourth cabin in the category, and with the bigger MAN 1360hp engines option giving also among the higher speeds in this size. These surely at nineteen metres put the 640 Fly in pole position in this size flybridge motor yacht backed out by a very high standard in finishing, construction, design, and hull shape. Picture Copyright Galeon. Data Galeon. Founded in 1998 Austin Parker has been at the period one of the first European and Italian builders to concentrate its production on Down East Lobster Traditional Cruiser looking models. Today a decade later and after stopping its production for a couple of years the Italian Austin Parker returns to the market thanks to new investors in its holding, and with this present a more modern interpretation of the Traditional Down East Cruiser, with renowned architect Fulvio De Simoni behind the design of the new AP42 Open. For me having been a follower to De Simoni works since he started it was interesting to see how the designer handled the looks for a Traditional American Cruiser. I obviously like what I saw and seems that Austin Parker agree with me as they have apparently commissioned the jobs of three bigger models to De Simoni. The Austin Parker AP42 Open offers an interesting mix of traditional concepts with modern utility like the flush deck cockpit, or the modern big view windows in the master cabin to fore. Accommodation for the AP42 is an owners suite to fore, and L-shaped sofa, this alternatively can be changed to an optional second guest cabin. The AP42 Open is powered by twin Yanmar 480hp engines which give a top speed of 34 knots and a fast cruise of 30 knots. While maintaining that same incredible running surface that has built the Mirage brand over the last twenty years, a project of a new 32 is underway in Florida. The new Mirage 32 Flybridge will have a noticeably different look and many improved features like Volvo IPS, dual station, open express style design, lots of protected seating, no need of tower, and a comfortable upper driving station. The 32 Flybridge while coming from Southern US coast Florida will also have a generous Carolina style bow flare, and a classic tumble home at the stern. Other noticeable improvements will be a lowered cockpit floor, providing for more gunwale height, rear entry into an expanded cabin, molded transom live-well, and power options to suit just about everyone. Accommodation is a double vee shaped berth to fore complimented by a separate shower head, and a galley. Power options are various and can be from twin diesel with in line shaft propulsion or Volvo IPS. Standard power is Volvo IPS400 D4 300hp engines with Mirage estimating a speed of 40 knots max with this version, and a 28 knots cruise to the 22 degrees deadrise hull. Just after presenting the Flybridge project US Florida based builder Mirage shows a new version with the 32 Sedan. This new Sedan version is all identical to the Flybridge but as the title says misses the second helm station flybridge option. Apart this the 32 Sedan has the same interior, options and speed and also shares the deep vee hull with a 56 degrees entrance bow and 22 deadrise aft. For those dedicated Sportfishers a full tower with second station up top can be fitted to this version. The tower increases the height to the Fly Bridge version by about one metre. The Mirage 32 Flybridge should be splashed and ready in time for the coming Miami show in February. The new Moonen 99 Alu is a further development of the first Fast Yacht Series, from the four cabin 94 Alu. Two yachts Nilo and Infinity, both launched in 2007 introduced the Moonen 94 Alu. Like all Alu yachts, the 99 is built of Sealium, a lightweight, strong, highly corrosion resistant aluminium alloy. She has a tank-tested hull and is driven by Servogear Controllable Pitch Propellers set in high efficiency tunnels. Powered by twin Caterpillar C32 ACERT diesels, she has a composite built antenna mast and bimini top, to save weight aloft and assure her top speed of 26 knots. Named Phoebe hull number one of the new 99 Alu is classed by Bureau Veritas and has MCA certification. The 99 Alu as other recent Moonen models, was styled by René van der Velden Yacht Design over a hullform of Stolk Marimecs naval architecture. Rhoades Young, in cooperation with Moonen, suggested a variation of the interior layout and created dedicated styling for the client. 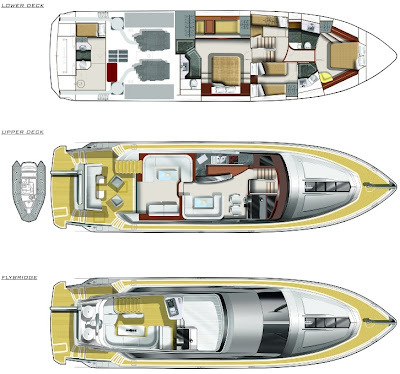 The 99 Alu has the same superstructure footprint as the 94 with essentially the same accommodations and engine room areas. The added length was applied to enlarging crew quarters and lengthening the main after deck and flying bridge. 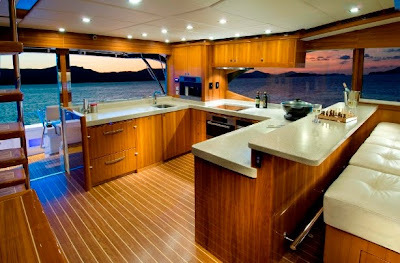 On the main deck, the saloon is typical of many Moonen yachts, but has a larger adjoining enclosed galley with its own door to the side deck. The wheelhouse centres on a console with engine controls; a plush settee is set aft for guest observation. Stairs lead to the flying bridge and sundeck. Below, the full beam master suite has an open plan. Forward, the watertight bulkhead has been moved slightly aft to enlarge the VIP suite. The joinery design by Rhoades Young makes use of a rich walnut with contrasting white painted surfaces and fabric panel insets. Hargrave Yachts updates its web showroom to a new modern platform. The foundations of Hargrave as a builder started in 1997 when Jack Hargrave passed away, and Michael Joyce returned to the company as President and CEO in 1997, after an absence of twenty years. Michael Joyce recognized the fact that for Hargrave, who with its founder as a design studio had created legends by designing for builders with the likes of Hatteras, Burger, Amels, Prairie, Atlantic, and Halmatic it was time to make the next step of becoming a builder. The concept at Hargrave is to build custom Motor and Super Yachts backed by the fame and capability of its design studio, and today it offers two ranges: the Capri and Signature Series with each offering four type lines: Flybridge, Open Bridge, Raised Pilothouse, Sky Lounge, and Tri-Deck from seventy to 140 feet. Hargrave has delivered over fifty models in a span of ten years, with the smallest being the 68 Signature Series Flybridge, and the largest so far being the 120 Signature Series Tri-Deck. The new virtual Hargrave brochure takes you around with the following buttons: Home, Models, Design & Build, Photos, Videos, About Us, Show and Events, Owners Club, Blog, Calendar, Photos, Videos, and Contact Us. Officials of the UIM and WPPA regret to announce the tragic deaths of pilots Mohammad Al Mehairi from the UAE and Jean-Marc Sanchez of France following a racing accident yesterday during race one of the Dubai Grand Prix, the final round of the Class 1 World Powerboat Championship. 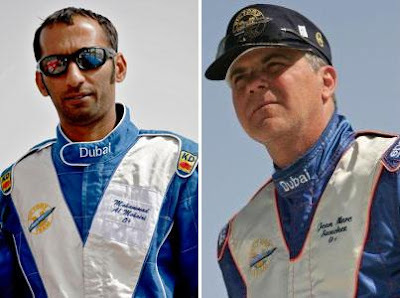 The two pilots, representing the Dubai Victory Team, were involved in a high speed crash during the early stages of the race at the Dubai International Marine Club, which was subsequently red flagged. Safety personnel attended to both pilots at the scene. They were subsequently airlifted to a local hospital, where all efforts to resuscitate them were in vain. The Victory Team, UIM, WPPA, DIMC and IOTA pass on their deepest condolences to the families of both pilots. As a mark of respect to both pilots and their families the event organisers have cancelled all races and event activities.